Launched in the latter half of 2015, Cupcake Bingo is piping hot out of the oven. The new online bingo site aims to provide sweet treats for all punters with high-quality games, incredible promotions, fantastic services. Managed by Cassava Enterprises and 888 UK Limited, Cupcake Bingo operates on licenses from the Gibraltar Gambling Commissioner and the Great Britain Gambling Commission. The site is also certified by eCOGRA to be safe and fair. Find out why many players are flocking to get a bite out of this new UK online bingo site by joining today! Newcomers can sink their teeth into some delicious offers as soon as they sign up. Make a deposit of at least £10 and Cupcake Bingo will give a 400% deposit bonus up to £100. This cash match breaks down into a 200% bonus for bingo and a 200% for instant games. What's more, first-time depositors will also get a free spin on the bonus wheel where they can win up to £2,500 in bonuses! If that's not enough, Cupcake Bingo also offers cash matches for the second and third deposits. Here at Cupcake Bingo, players can have their just desserts with plenty of promotions to avail of. There are daily, weekly, and monthly offers that are sure to enhance the gaming experience. Take advantage of guaranteed jackpots, free bingo tickets, bargain game prices, and other great perks. Punters can even earn up to £500 worth of cashback bonuses every month. The site also has promotions exclusively for mobile users. Become a VIP member at Cupcake Bingo and get access to bigger and better rewards. The most loyal players can join the VIP Fun Fair room every Tuesday and enjoy exclusive jackpot games, special chat promotions, and other fantastic offers. In addition, VIP members can also receive more cashback bonuses, free tickets, higher deposit and withdrawal limits, as well as lower wagering requirements. Play online bingo games anytime, anywhere with Cupcake Bingo on mobile! 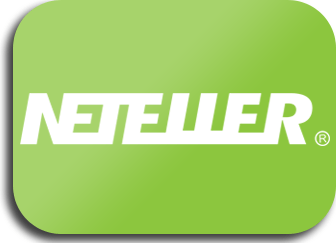 The operator gives punters access to over 40 of the best games via mobile or tablet. The icing on the cake is that the new mobile bingo platform is compatible with practically any device! Users can visit the no download bingo site or download the app from the Apple App Store. Cupcake Bingo caters to numerous payment options to offer convenience in making deposits or withdrawals. 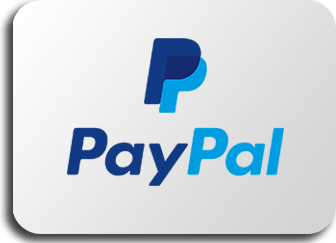 They also use SSL data encryption technology to guarantee that all transactions made on the site are kept safe and secure. 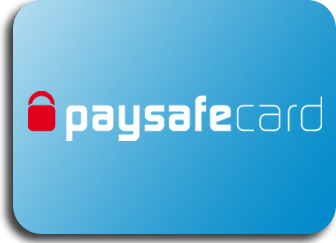 In addition to debit and credit card bingo deposits, the online bingo site accepts Paysafecard transactions as well. 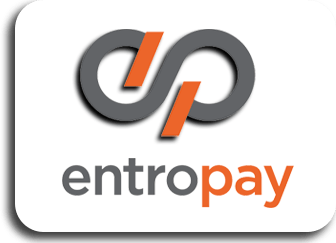 Entropay and Paypal bingo deposits are supported too. All Cupcake Bingo bonuses are subject to wagering requirements that players must meet prior to cashing out. Do note that terms and conditions may vary per promotion, so it's always advised to read bonus mechanics before opting in. Unless otherwise stated, Cupcake Bingo players are expected to wager 3x the total amount of bingo bonuses or 99x the total amount of instant game bonuses. For deposit-related bonuses, the wagering is set at 2x the amount of the deposit and bonus for bingo or 50x the amount of the deposit and bonus for instant games. There's plenty of fun to be had at Cupcake Bingo. Punters will have access to several rooms playing 90-ball bingo and 75-ball bingo variants. Players can choose from games with guaranteed prizes or progressive jackpots. They can even play free online bingo games! For those looking for a quick break from ball calls, Cupcake Bingo is also home to a fantastic selection of slots and a wide array of casino games. Players can try their luck on classic reels, wager on blackjack games, or claim instant wins from scratch cards. With a soft pink theme lined with delicious cakes and pastries, Cupcake Bingo will have mouths watering for what they have to offer. On top of looking delicious, the site is easy to use, making it appealing for punters of all skill levels. They provide plenty of information on all their promotions and games to ensure that everyone has a smooth playing experience. Should users encounter any issues, Cupcake Bingo has a 24/7 customer service team that they can reach out to via phone, email, or live chat. Every aspect of Cupcake Bingo seems to be sweet, and the same could be said of their chat hosts. Players will immediately feel welcomed with their sunny dispositions and cheerful personalities, creating a warm community atmosphere. The chat hosts not only help maintain a comfortable playing environment, they also hold fun chat games and offer help when needed. Cupcake Bingo is one of the latest Dragonfish bingo sites to hit the market. By working with one of the most popular software providers in the industry, the UK online bingo site is able to benefit from years of experience. Dragonfish bingo sites are also known for their high quality and smooth performance, and that's what players will find at Cupcake Bingo. When it comes to enjoying sweet treats, Cupcake Bingo gives players all the reasons to skip on the diet. They can easily make the list of best new bingo sites to have come out in recent years with all their great offers. From high-quality games to lucrative promotions, this is one site that's a must to play on!